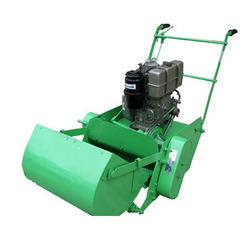 Our product range includes a wide range of Lawn Mowers such as Electric Lawn Mower, Electric Rotary Lawn Mower, Rotary Lawn Mower, Ride on Lawn Mower, Manual Lawn Mowers, Diesel Lawn Mower and many more items. Professional lawn mower, in steel body with 5.0 Hp Diesel engine, Self propelled,Type easy to use & most suitable for Lawn & Gardens of medium & large size. 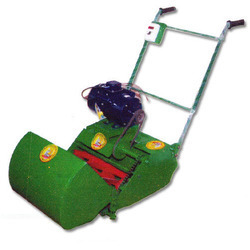 Grass Bag Capacity 60 ltrs. 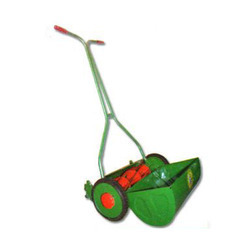 Steel Frame side wheel type mowers cutting 12/ 14 rubber tyred wheels, cutting cylinder complete with grass box & handle etc. Electric Lawn Mower, in steel body with 2.0Hp Single/ Tree phase electric Self propelled,Type easy to use & most suitable for Lawn & Gardens of medium & large size.